Angel Yanagihara has started a six-week post as a U.S. State Department Fulbright Specialist to collect lethal box jellyfish in Thailand. DKICP has partnered with Musashino University for students to begin educational and research projects in Japan. Daniel K. Inouye College of Pharmacy faculty and students who also serve in the U.S. Army Reserve are participating in the Innovative Readiness Training program in Keaʻau called Tropical Care 2018. The new law will help more students get into pharmacy, nursing and medical schools, now that preceptors are recognized for their outstanding community service. 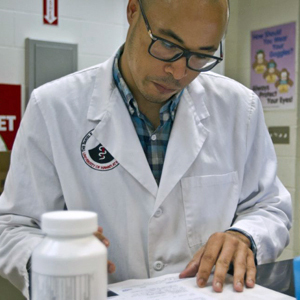 Hawaiʻi healthcare providers are using technology from a project led by UH Hilo that helps pharmacists manage high-risk patients’ medications across a variety of settings. A UH Hilo research group supported by Hawaiʻi Island legislators is urging more control measures be taken to lower the risks of the spread of rat lungworm disease. UH Mānoa researchers are looking to reduce potentially preventable hospitalizations for diabetes and heart disease in Hawaiʻi. Student pharmacists at the Daniel K. Inouye College of Pharmacy are now able to formally expand their educational experiences to Australia following a new agreement. This year’s positive assessment was determined by a site visit and a 110-page self-study compiled by faculty, staff, students and community members.